Okazaki Tomoya, a delinquent who has bad relationship with his father. 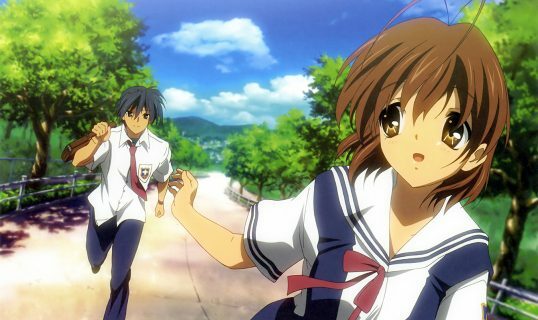 Furukawa Nagisa, a girl with weak body who repeat her final year at school because she got sick too much last year. One fateful day, they met at the bottom of a hill, on the way to their school. 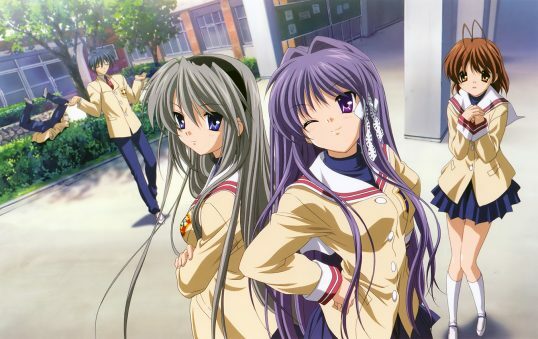 Along the way, many things happened and their path came across Fujibayashi’s sisters (Kyou and Ryou), the genius Ichinose Kotomi, the starfish lover Ibuki Fuko, the strong Takagami Tomoyo, and also Tomoya’s best friend Sunohara Youhei. 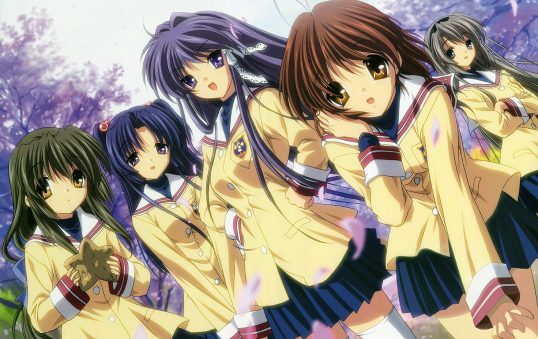 CLANNAD, the best anime I have ever seen ! From a very light harem-comedy type story, this series turned to be a lot more serious than it seemed at the beginning. 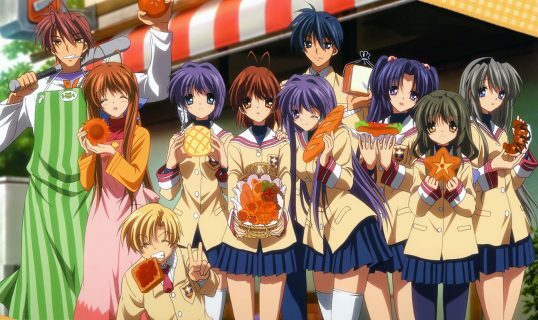 CLANNAD (means “family”). It’s a world of love, friendship, magical and miracle. One lonely boy, one lonely girl, “magically” found each other and had an extraordinary journey. A perfect couple coming from two people far from perfect. Destiny? Maybe. It’s the world of CLANNAD anyway. I find this anime romantic in a different way. It opens our eyes that human feelings can do much more than what we can imagine. Adapted from a game, this anime is a must-see for it’s high quality animation, beautiful storytelling, and very good sense of humor. 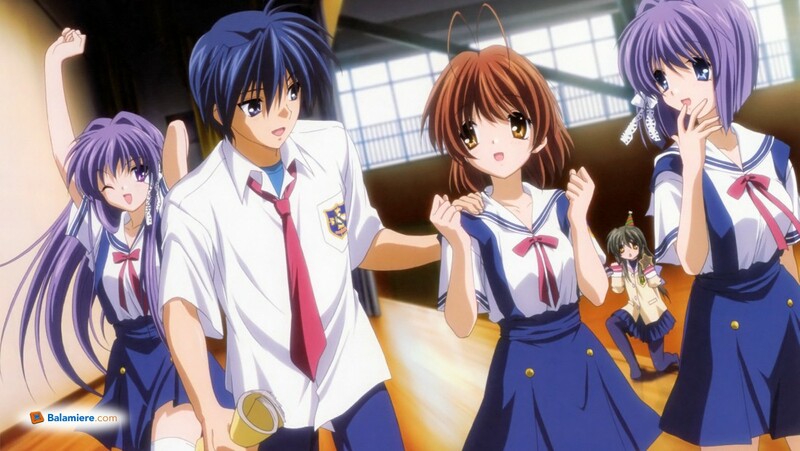 CLANNAD plays with our feeling, making it one of few anime that made me laugh in times and made me cry some other times. Recommended for all ages.